Love those drunken headstones, Bill, and the flars. It seems a lovely day - that tree in the back is gorgeous! Oh, wonderful - and look at the trees! A very peaceful place, I would like to have a short rest on that bench! Still! I dint know you'd gone. Bill Phillips: You were not paying attention yesterday then? 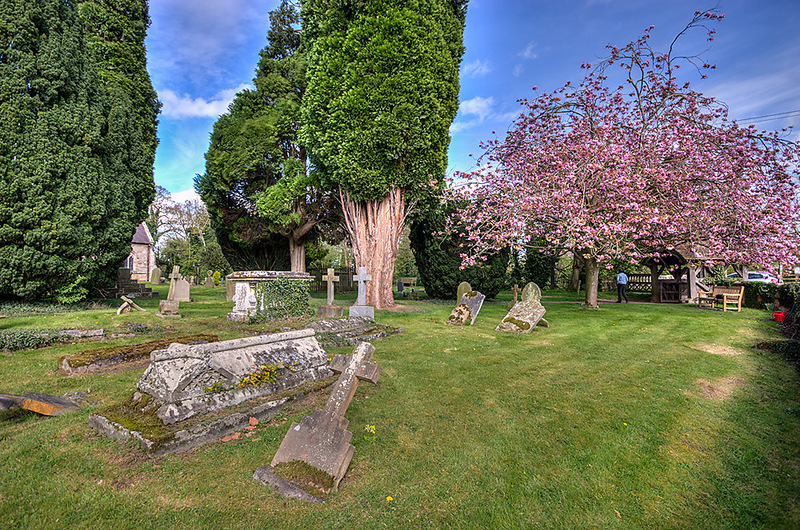 The blossoms are joyful but the fallen headstones are sad to see. Not sure I've seen quite so many falling headstones as these but they do look very old. It is very picturesque. Were you deciding on a plot for yourselves? Its a shame about the fallen crosses and headstones. Looks as though it needs a little TLC! What grudge knocked them over, I wonder?